First there was the baby. Then came the car seat. And the stroller. And the travel crib. And dozens of other necessities associated with traveling with the very young. 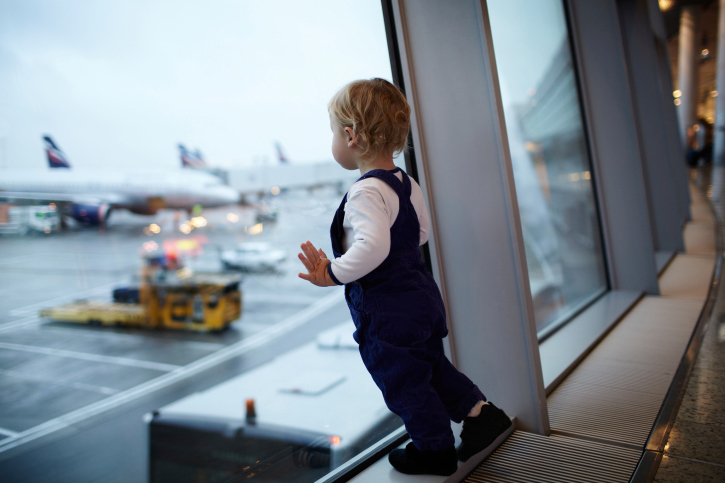 Now, maybe you’re one of those magic parents who can travel with nothing more than a single diaper and a smug expression, but for most families with babies and young toddlers, the packing and the lugging are the most dreaded parts of any vacation. But head to the right place and you can leave most of the gear at home. A surprising number of family-friendly hotels and resorts understand that starting your vacation as the human equivalent of a shopaholic’s pack mule is no way to kick things off. These are places that do so much more than roll a rusty crib into the corner of your room. At resorts that cater specifically to families, you’ll be surprised at the gear available to any guest savvy enough to ask for it. Here’s a peek at what you can find at four ultra-family-friendly resorts around the country. Club Med Sandpiper Bay, Florida: Club Med resorts are the places to go if you want to travel light with a little one. The Club Med Baby Welcome program offers, on request, cribs, high chairs, changing tables, strollers, bathtubs, bottle warmers, and more. The main restaurant at Sandpiper Bay has a “Baby Corner” with food and utensils for babies. There’s also a baby feeding room, open 24 hours a day, with all the gear parents need to prepare various baby foods. The Children’s Club is stocked with toys, beach toys, and kids’ movies. Hilton Waikoloa Village, Hawaii: This resort provides cribs and Pack ‘n Plays, bed rails, high chairs, outlet covers, humidifiers, and movies for kids. At Hilton’s neighboring Grand Vacations property Kings Land, beach toys are also provided at the sand-bottom pool. Hotel del Coronado, California: This San Diego resort offers travel cribs, but it will also rent out full-size cribs, strollers, baby rockers, white-noise machines, baby monitors, and humidifiers to guests. The Coronado also offers DVD players and some kids’ movies. And it will childproof balconies upon request. Tyler Place Family Resort, Vermont: This property provides cribs, bed rails, high chairs, strollers, baby-carrier backpacks, night-lights, outlet covers, kids’ movies, and even car seats upon request. The resort also offers free water toys and life jackets at the pool.